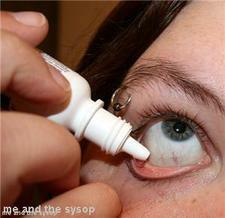 Italian scientists have reported improvements in glaucoma patients treated with new eye drops. Alessandro Lambiase of the University of Rome is leading the research team, which has found three patients who took its drops had improvements to their vision. The study was published in the Proceedings of the National Academy of Science. After finding that the eye drops, which contain the nerve growth factor protein, stopped nerve degeneration in glaucoma-suffering rats, the team tried them on humans with advanced glaucoma. Dr David J Calkins, who was not involved in the research, told the Daily Telegraph he had "guarded optimism" about the new treatment and said further successful trials need to be carried out. He noted that advanced glaucoma such as that suffered by the test subjects, has been believed to be irrepairable. Early tests for contact lenses that can be used to give drugs via the eye recently had successful results. Dr Daniel Kohane of the Children"s Hospital Boston, who is developing the contact lenses with experts from other institutions, told Reuters that laboratory tests have shown the lenses can "release really large amounts of drug for a very long period of time at a very steady rate".